(Betty) Jean Baldwin Peters passed peacefully on March 31, 2019. She was born in Elmira, NY on May 20, 1928. She was the loving wife of the late Paul (Bud) Peters of Savona, NY/ Akron, NY. Jean's parents were Pearl Youmans Baldwin and Lawrence Baldwin of Elmira, NY. She was the mom of six children: Rhonda (Robert) Ball, Jeffrey (Nancy) Peters, Marci (Randy) Homan, Todd (Laura) Peters, Amy (Frank) Daddario, and Julie (Thomas) Brady. She had 16 grandchildren and 20 great grandchildren. She enjoyed her growing family very much. Jean was predeceased by her sister, Alene (Harley) Yeagle, and her sister in law and brother in law, Mary Jane and David Burch. She is survived by 3 nieces and 1 nephew. 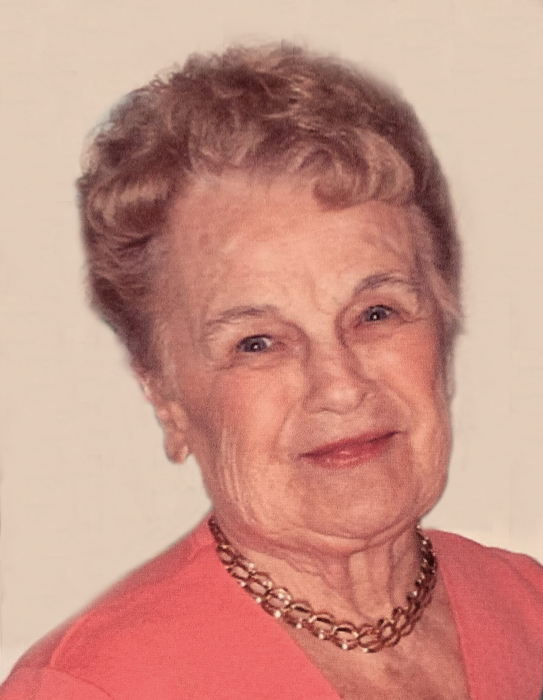 Jean loved her family and was a devoted wife, mom, grandma, and great grandma or Gi Gi ma. She enjoyed sharing her love of music, doing puzzles, playing cards, and swimming with her family. She attended many concerts, plays, musicals and club events to watch her grandchildren and great grandchildren perform. She also was an avid golfer and bowler as well as a bridge player. She was a real artist and created many wonderful paintings for all of her family. Cars could be seen parked in front of her home daily with neighbors wondering what was going on. It didn't take much to make a party at Jeanie's. There were many, especially hockey game nights, pancake days or birthdays. She always loved having family around her. Calling hours for Jean will be at The Bernhardt Funeral Home at 130 Main St. Akron, NY 14001 on Friday, April 5, 2019 from 4-8 pm. The celebration of her life will be at 11 am at the funeral home on Saturday, April 6th. The Hospice Foundation of WNY, Inc.